Born: August 28, 1921, Lawrence, Douglas County, Kansas. Married: May 22, 1941. Died: February 14, 2011, Olathe, Johnson County, Kansas. The daughter of Dr. Virgil and Mildred (Coker) Auchard, Arlene Auchard was born in August 28, 1921, in Lawrence, Kansas. She graduated from Lawrence High School and the University of Kansas with a business degree. On May22, 1941, she married John Anderson, Jr., of Olathe, Kansas. She worked in business in Topeka and Olathe until the birth of her children. The Andersons had three sons: John, Kerry, and David. When her husband was elected to serve as the 36th governor of Kansas, she became First Lady, serving from 1961 to 1965. During her tenure she was involved in renovating Cedar Crest, the governor’s residence, and overseeing the move from the former governor's residence. Arlene worked with her husband to improve public educational opportunities for Kansas students. The two represented Kansas during a trip to Japan to encourage commercial and agricultural associations, which continue to this day. After leaving the office in 1965, they lived on a farm near Olathe. Arlene’s varied interests included P.E.O. Chapter FL, she designed and oversaw the building of a summer cabin in Minnesota, played bridge, and was an avid quilter. 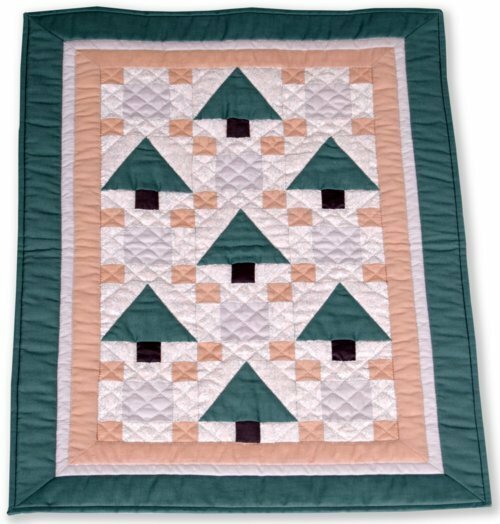 One of her quilts, created as a benefit for the Kansas Quilt Project, features cedar trees, inspired by those at the governor’s residence. She died February 14, 2011, in Olathe, Kansas.